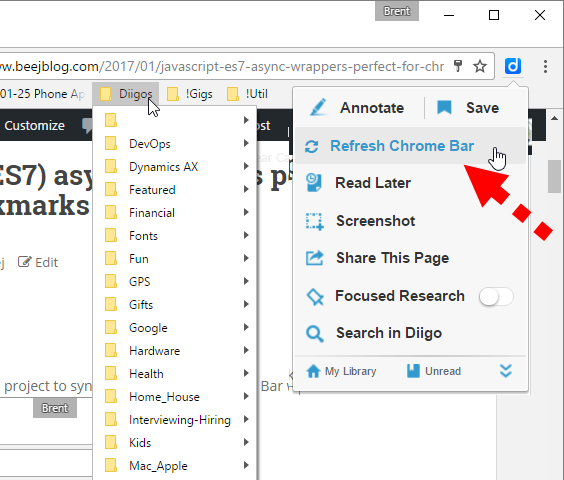 I tasked myself with a little project to sync my Chrome Bookmarks Bar with my Diigo links. //now continue coding knowing that this code wont execute until the async call returns, very cool! !